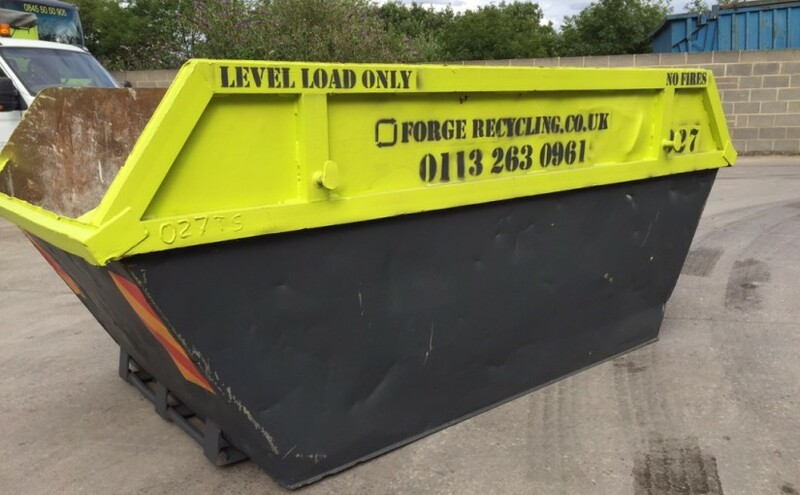 Here at Forge Waste & Recycling we offer a cost-effective, local skip hire to Leeds and the surrounding areas. Because we provide this service, we have created this guide for you, so you know exactly what to expect, which skip to choose, and how to prepare for your skip’s arrival. Once you have read this article, you’ll be armed with all the information you need to get started on that house clearance, redecoration or big garden clearance job, safe in the knowledge that you can hire a skip from us and know exactly what to expect. So, let’s get started. Prior to hiring a skip, you need to ensure the area you wish to place the skip is acceptable. If this isn’t your private driveway, this could involve a skip permit/licence. These are issued by the local council and can take up to 7 days to arrive (but usually take around 3 or 4). A skip permit is required for all public roads or pavements. General information on this can be found here, but contact your local council for information specific to your area. If you have a soft tarmac or block-paved driveway, you may wish to consider placing a layer of wooden planks on the area you would like the skip to be placed. This will help protect your drive from damage, as skips are heavy items – especially when filled with waste. Our midi skip is ideal for general household & garden waste, or for kitchen/ bathroom renovations. Our builders skip is ideal for general household waste, garden waste, large house clearances, rubble from home improvements or construction, and any other general waste. Our large skip is ideal for bulky but lighter waste, such as wood and metal from construction. It is not suitable for rubble, bricks or soil. Optional door available. Please contact us if you have any questions regarding this. Fridges and freezers require Forge’s confirmation before they are put in our skips, as they are classed as hazardous. There is a small charge to dispose of these. We realise that all of our customers have different needs and a schedule that is unique to them. We can be flexible with our skip hire to suit your needs, and fit around your requirements. If you have any questions about our Leeds skip hire service, give us a call on 0113 3207960, or if you know what you want order online using our new online service. We also offer a ‘man and a van’ waste collection service, which might suit you better if, for example, you have any doubts about access for the skip truck, or you would prefer someone else to do the heavy lifting for you.